Frequently Asked Questions (FAQs), click here. Learn more donating gifts of appreciated stock! September 14, 2017 (North Texas Giving Day) we kicked off the Blacksmith Annual Fund campaign to raise $1 million for the 2017-2018 school year. The Blacksmith Annual Fund supports the annual operations of the school. This annual fund makes up the shortfall from state funding of approximately $2,500 per student. 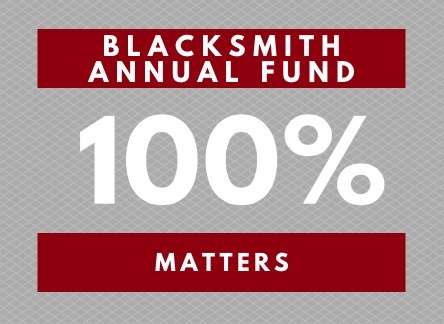 Watch to find out why Blacksmith Annual Fund dollars are so important!